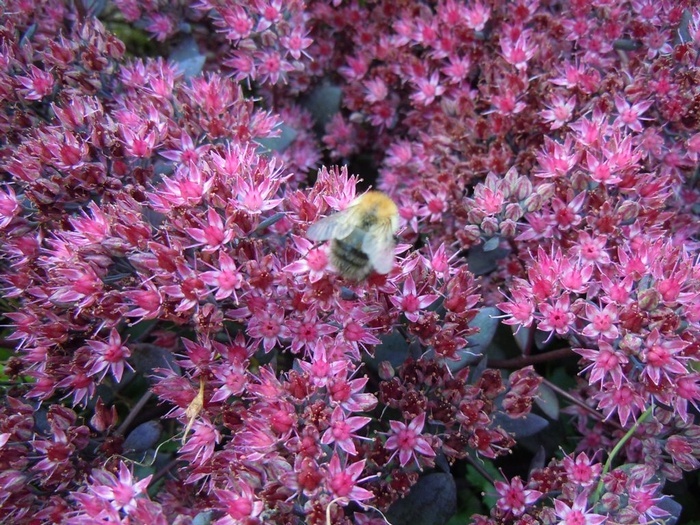 A wonderful Sedum for giving colour and flower in late Summer. 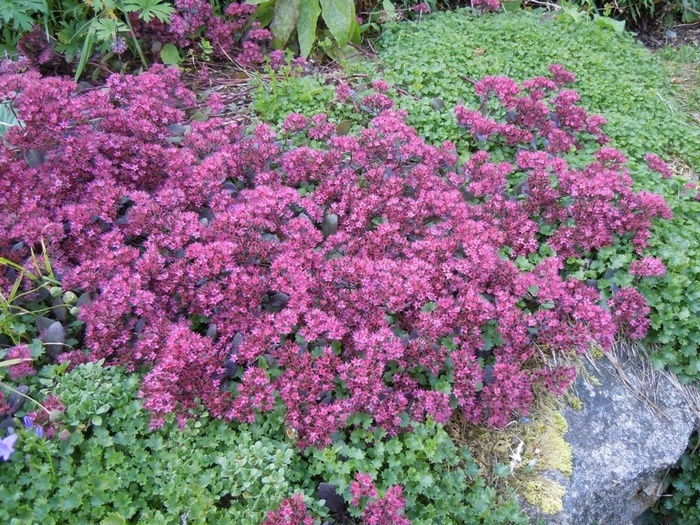 Mats of deep red succulent leaves are adorned with clusters of pinky purple starry flowers, ht 10cm, much loved by bees and butterflies. 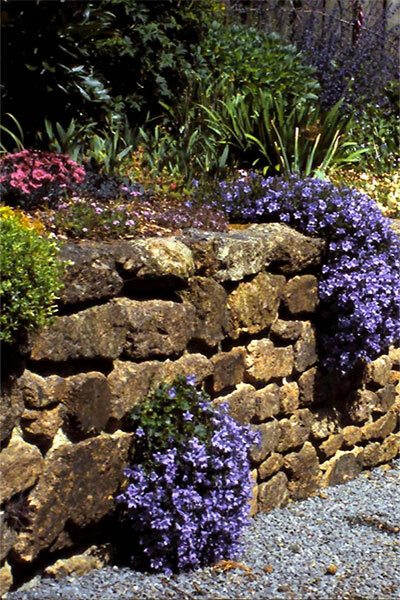 Grow in a sunny spot at the front of the border, in rockeries or tubs and troughs. Also good as an edging plant.